IDBI Federal Life Insurance is one of the most reputed insurance companies in India which is known to provide a plethora of products to its customers. It is one of the few insurance companies who retained more than 50% of their customers over a period of 5 years and was declared as one of the top 10 most trusted insurers in India by a survey conducted by Economic Times’ Brand Equity. The insurance company also boasts of an extensive customer care service. Any customer with a query can get in touch with a customer care service executive via telephone, email and also contact them online through their ‘Need Help’ facility. 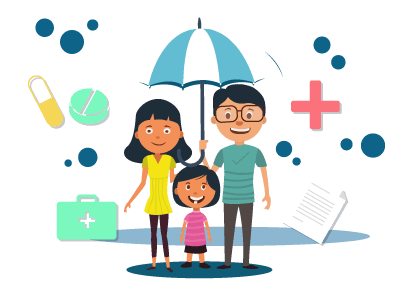 A customer of IDBI Federal Life Insurance can contact a customer care executive in case of any doubts by dialing the toll-free number - 1800-209-0502. If the person wants more information on the online products provided by the insurer, they can do so by dialling the number - 1800-102-6166. An IDBI Federal Life Insurance customer can also send their queries via mail by sending an email to support@idbifederal.com. A new or existing customer who wishes to avail a product from the insurer can also ask for help online. They will have to visit the official website of the insurance company. In the ‘Contact Us’ section, on the right-hand side of the page, he/she can locate a ‘Need Help’ tab, after clicking on which he/she can submit his/her name, mobile number, and query. Click on ‘Submit’ and a customer care service executive will get back to the customer to clarify his/her doubts. A customer can send his complaint to the email address mentioned above following which a response can be expected within the next 24-48 hours. A company may take a minimum of two weeks to resolve the complaint by the customer. Apart from that, a person has the option of availing other mechanisms in order to get his/her queries clarified. Step 1 - In case the customers’ complaint is yet to be resolved, he/she can contact Ms. Reema Bhasker and Ms. Elizabeth Taylor who are the Chief Manager- Customer and Sales Support and Senior Manager- IGMS and Complaints, respectively. The email IDs of the persons of contact are Reema.Bhasker@idbifederal.com and Elizabeth.Taylor@idbifederal.com. Step 2 - In case the complaint is yet to be resolved within the stipulated time given by the company or if the customer is not satisfied with the solution, the person can then contact Mr. Rajesh Ajgaonkar who is the Grievance Redressal Officer. A mail can be sent to grievance@idbifederal.com or one can dial the Head office Number and Helpline Number which is 022- 2302 9200 and 1800 209 0502 (Toll-Free), respectively. One can mail their complaints via post or visit the below-mentioned address. 22nd Floor, A Wing, Marathon Futurex, N.M. Joshi Marg, Lower Parel (East), Mumbai - 400013. The office working hours are 10:00 a.m. to 6:30 p.m. from Monday to Friday and 10:00 a.m. to 5:00 p.m. on Saturdays. 5th block Jayanagar, Bengaluru - 560041. Kolkata - IDBI Federal Life Insurance Co. Ltd., Camac Street, Shantiniketan Building, 2nd Floor, Space 1, Kolkata - 700017.